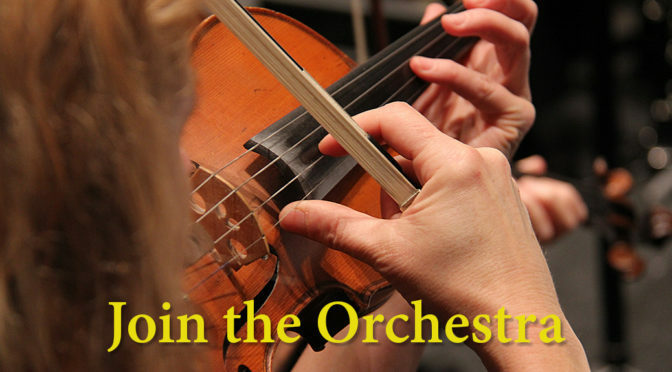 Now in its 56th year, the Diablo Symphony Orchestra is a community orchestra based in Contra Costa county which performs five concert sets a year in the beautiful downtown Lesher Center for the Arts in Walnut Creek. Under the leadership of Matilda Hofman, we perform exciting and varied programs, with a strong commitment to making great music and performing to a high level in a friendly and sociable environment. We have an Outreach program with concerts in schools and family concerts. The DSO currently has openings for strings for our upcoming season, especially basses and cellos. We are also looking for a principal trumpet and trombonist. Other instrumentalists are also welcome to make enquiries. Rehearsals are on Monday evenings in Danville. If you are interested in joining us, please contact Robert Hamaker to arrange an audition: by telephone at (925) 216-6293, or by e-mail at [email protected].